Hello Everyone! 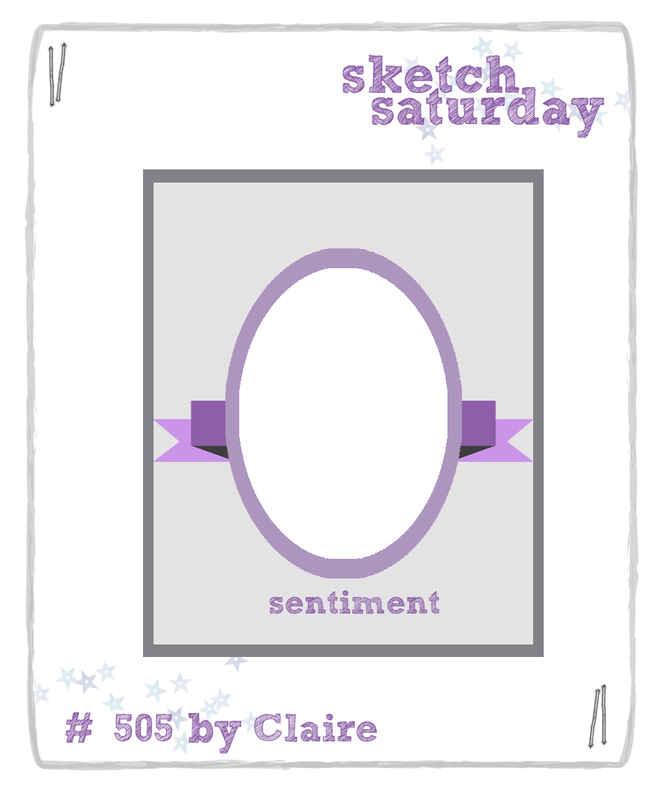 Welcome to a new sketch challenge over at Sketch Saturday. Every Saturday a new sketch is posted and you have until Friday the following week to enter for a chance to win a prize from their terrific sponsors. We hope you’ll come play with us! 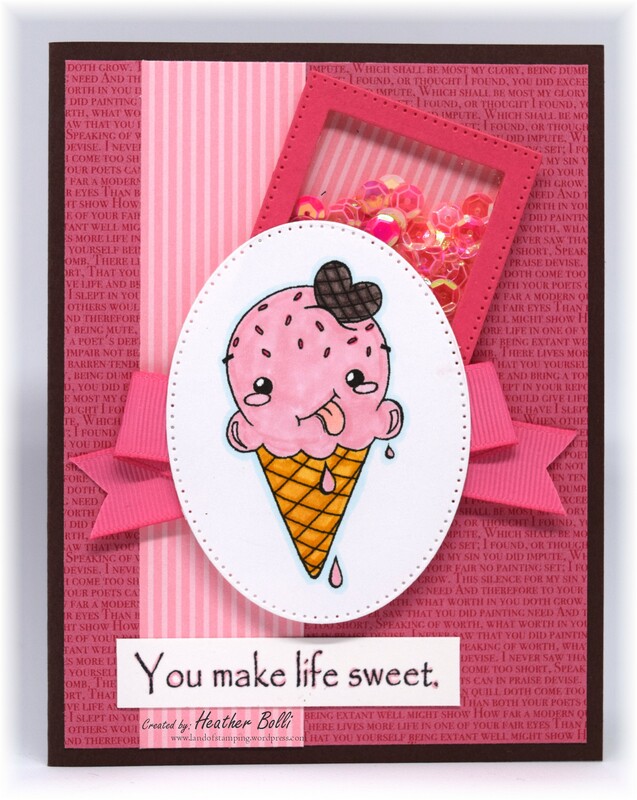 The sponsor this week is Oddball Art Co and I’m working with this yummy image, Kawaii Ice Creem Cone Sundae with Sprinkles. It’s an adorable image! I chose to use the main elements of the sketch (oval, banner and sentiment), but play up my background a little bit. I used a partial background that I had sitting on my desk, plus I added a shaker element. Love how this turned out! I hope you come and play along with us! One lucky challenge entrant will win a prize from our sponsor (and then maybe you’ll own this adorable stamp too!). Head on over to the Sketch Saturday blog to link up your new creation using the sketch. Good luck!